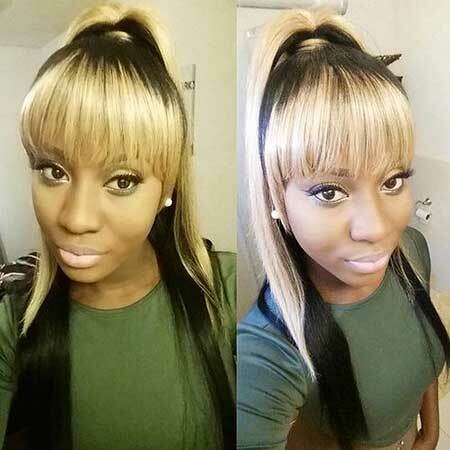 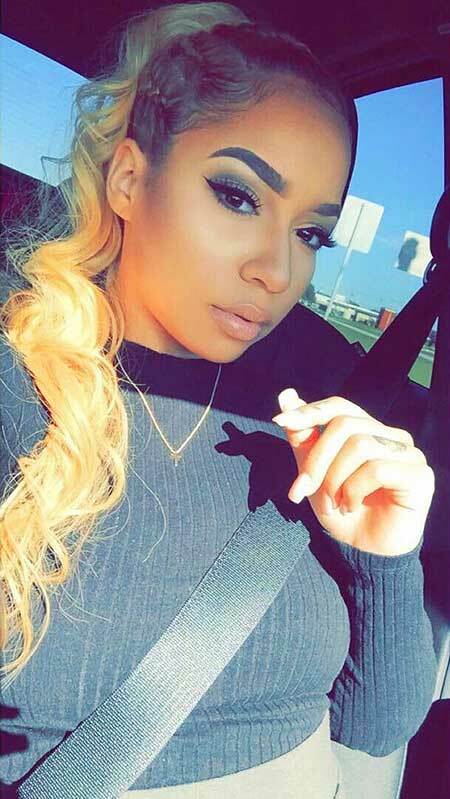 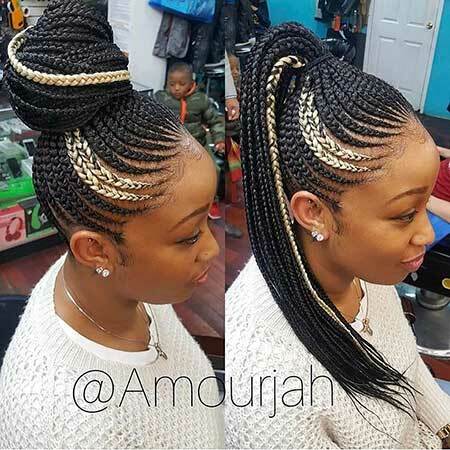 African American women may find it hard to find how simple hairstyles look on them or how to make them look unique and stylish. 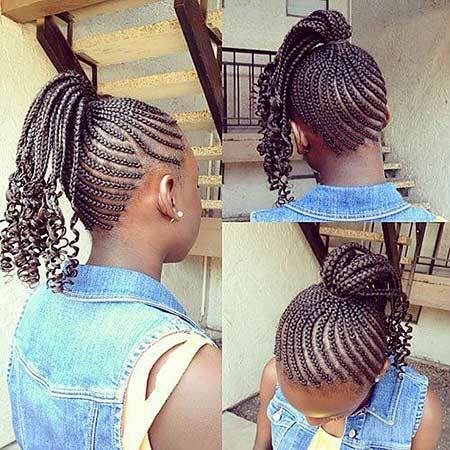 Because of that, I want to show you some inspiring ponytail hairstyle ideas that will help you to get a fresh and great look for summer. 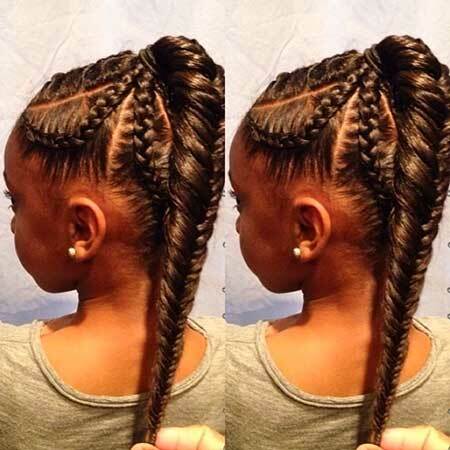 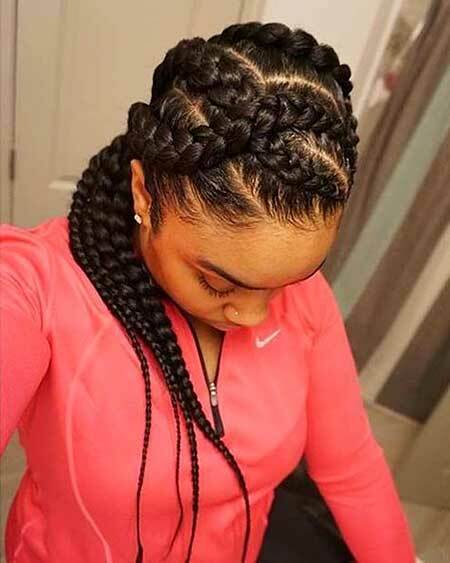 Whether you like braids, your naturally curly hair or straighten hair you will find really versatile ponytail ideas for African American hair. 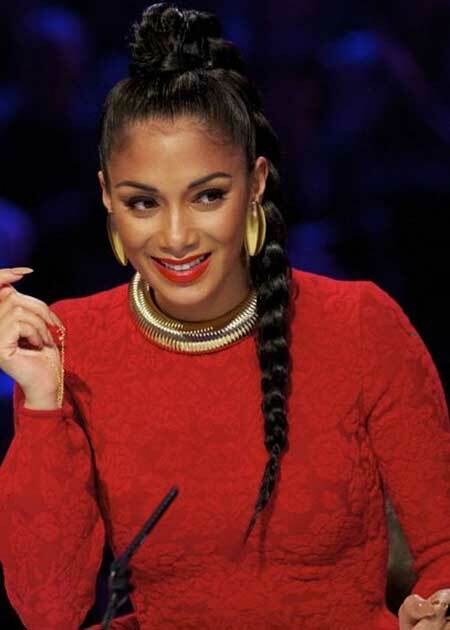 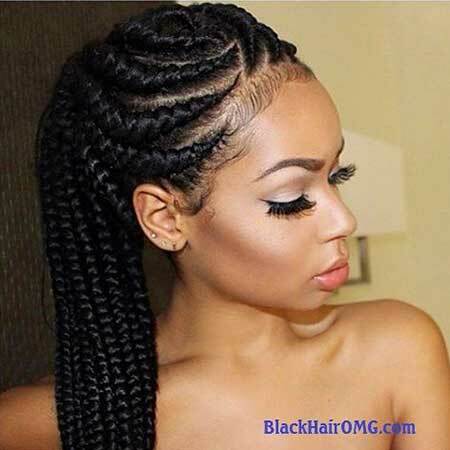 Box braids will look really gorgeous that is put together as a ponytail may be a unique style for black women. 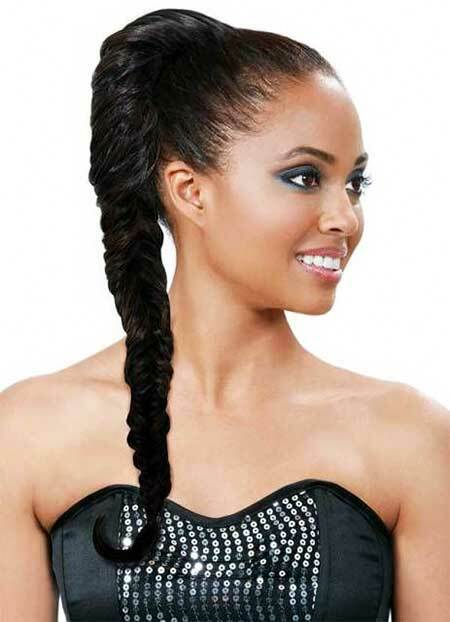 If you want to embrace your naturally curly hair and get those curls out of your face and back of your neck, simple ponytail may do wonders. 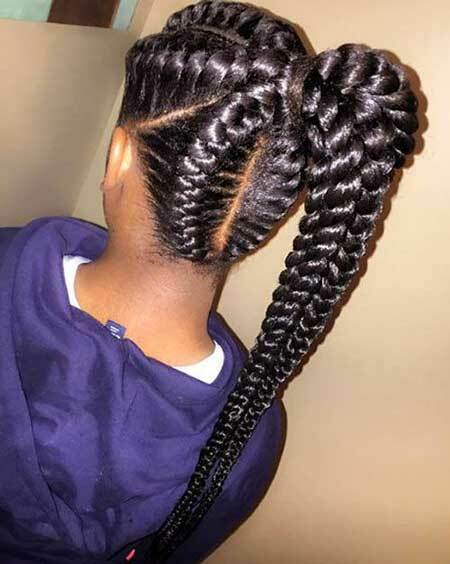 If you are worried about the baby hairs when you straighten your hair or style your hair wavy go with thin French braids and create the perfect ponytail look.